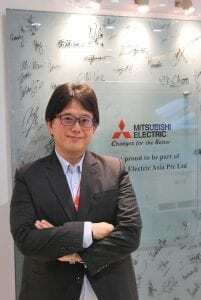 Ahmad Alshidiq interviewed Mr Tomonori Hirata, General Manager of Semiconductors & Devices, SEA & India, Mitsubishi Electric Asia, to find out what’s booming in the semiconductor market. Tell me more about your company and how effective are your solutions in the industry? We have seen an evolution in the range of our products from many years ago. From DRAMs, SRAMs, and so forth, we have become more focused and more aligned to the progress seen in the world of technology. Thus, we see a more focused range of semiconductors now and definitely some of the most reliable ones. We realised that sustainability is the key towards a low carbon society. We have mainly three categories: power semiconductors: motor driving with low energy consumption; high- frequency semiconductors: mainly used in mobile and wireless communications; and optical diode semiconductors: for high-speed internet, 5G etc. What we are selling today is very specific but something that contributes to a sustainable and low-carbon society. In power semiconductors (IGBT modules) and optical devices of optical fiber communication, I understand we are the top class supplier globally, which is referred to Mitsubishi Electric research data. We have regional head offices around the world. For example, in Europe, we have head office in United Kingdom and then spread across Europe. In the United States, we have key offices in Pittsburgh and San Francisco, Sunnyvale. Our Singapore office reaches out to customers in the country and Southeast Asia. In India, there are more than 20 offices across the country, including in Gurgaon, Bangalore and Pune. How can Mitsubishi Electric contribute to sustainability and low-carbon society in this part of the world? Energy consumption, especially electricity, is rapidly increasing due to economic growth in India and any other emerging countries in Southeast Asia. Our IGBT technology can realise low energy consumption connections or conversions. For example, a strong motor speed is needed in normal air-conditioners when operating in warmer rooms. And if the room temperature increases, more power is needed by the motor to cool the room. But with the inverter technology, the motor speed is more controlled even when operating in warmer rooms. That is how our IGBT technology is contributing to energy saving and conservation. Automotive customers are also using our IGBT technology in their HEV/EV/PHV models. What’s your view on the Asia Pacific and Southeast Asia region? 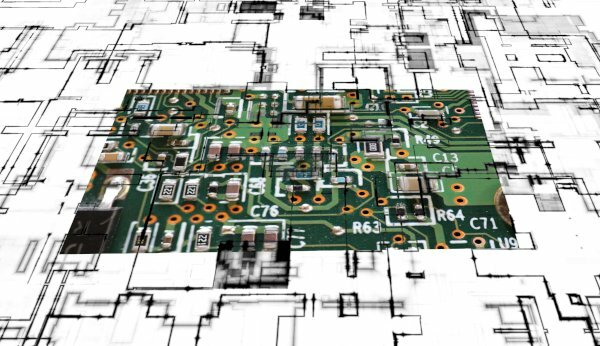 What’s attractive about the semiconductor industry here? Many factories were set up in this region during the 80s and 90s, for example Sony, Dell, IBM and Compaq. And over the years, multinational corporations were decentralising their engineering development, and thus, we see many localisation of designs developed in this region. This also happened to our specific semiconductors because we see an opportunity. For me, Southeast Asia is a mixture of increased functionality of the MNCs and the development of the regional-based customers. It’s not an immediate business, but in the long run, we are seeing some growth. On the other hand, India is seeing vast growth. For example, our power semiconductors are used in infrastructures such as wind power, solar power and mega solar. These are the marketplace that we are serving. And we are also receiving orders from the electrification of trains, and so far, it has been quite successful. From manufacturing perspective, looks like India is really catching up fast with China. After these two giants, perhaps, it could be Southeast Asia next. Which vertical is the most demanding? Why? In Southeast Asia, home appliances, air-conditioners, refrigerators, washing machines are doing well. You know… “inverterised” solutions are becoming a trend now. For example, many countries are implementing energy consumption regulations by labelling these appliances with 5-stars, 4-stars and so on. Without using inverter technology, that specifications will not be fulfilled. For us, as the inverterised equipment ratio is getting higher, our market demand is automatically increasing. I believe this trend will never stop. And now, European countries are talking about no more gas-driven cars in the coming years. Energy consumption is really the key concern in the industry. As for us, when this trend is maintained, I always see it as opportunity for growth. Globally, growing our key market is the expectation of our company. Singapore is heading towards becoming a Smart Nation and has initiated the ASEAN Smart City Network. What are your thoughts? How has this benefit the semiconductor industry, and particularly, Mitsubishi Electric? I love the smart city concept as one of the inhabitants of Singapore. Low energy consumption and sustainability are important components and that’s where we can play a big part in it. For example, more effective air-conditioning usage is always in the discussions. Every single thing leads to our business. For us, Singapore is a successful smart concept. The smart city concept also requires the use of internet connection. We are selling something directly related to the IoT, to handle these things with internet, the infrastructure must be stronger and faster and reliable. Here, we see growth opportunity for optical semiconductors. Although the smart city concept is not directly impacting on my turnover here, but this trend, for sure, can give me more business opportunities in the future. What are your predictions in the next five years? And what do you see as your biggest challenge? Infrastructure demand in India is really increasing. For example, the government has announced the 40GW of renewable energy projects comprising 30GW solar and 10GW wind. Also, the rail industry is rapidly increasing. In Southeast Asia, demand for finished goods is dramatically increasing. I am seeing some boosts in our sales, although unlike the growth we see in India, but it is staple growth that meets our expectation for the region.